We love a good collaboration at The Tweed Pig. Bing Crosby and David Bowie singing Little Drummer Boy - that was a terrific one, knocking Dietrich's version into a cocked hat. And there's Marty Scorsese and Robert de Niro, a fine pairing. Perhaps art is always a collaboration in one way or another. Gide had something to say on that. Shared belief and chemistry between the collaborators might be the key to whether it works or not. 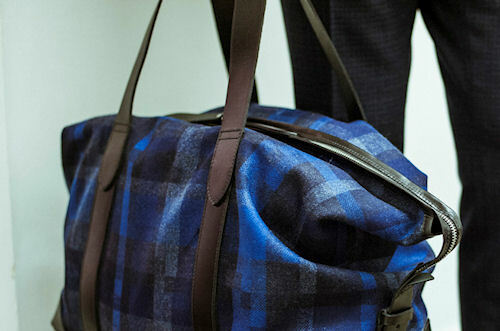 Let's add two fine British companies to our list of collaborations that work, with this year's (not so recent, no excuses but we've been busy) project between Cherchbi and Hardy Amies. a: Winter has a habit of lingering in the UK. 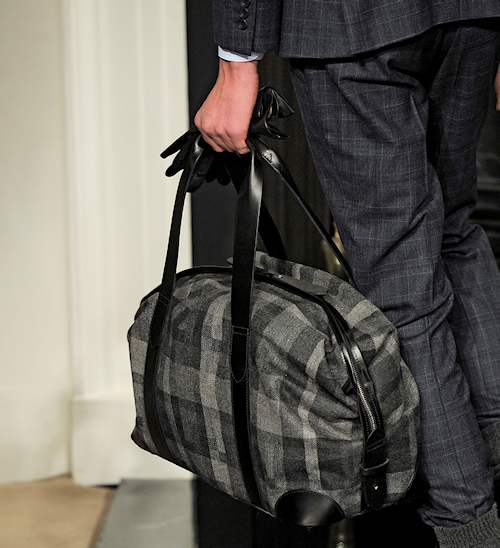 b: The bags are timeless British classics. 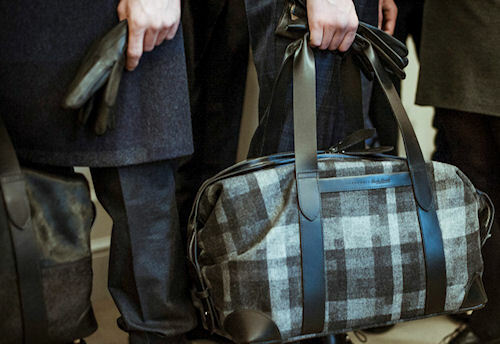 The materials used for the bags include a 'Bauhaus tartan' wool check, pony skin and oiled leather. 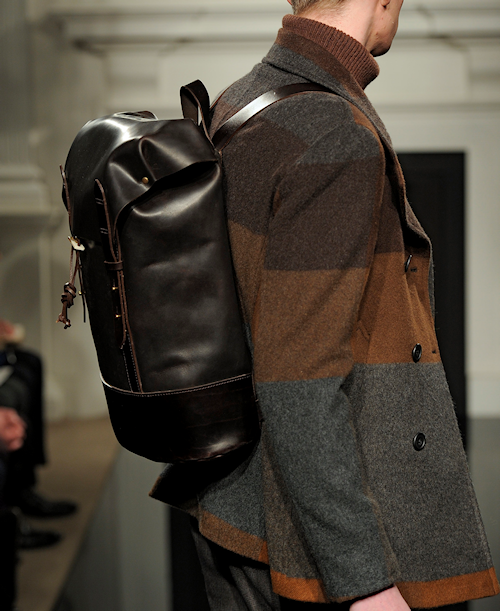 The bags have the solidity and quality you would expect from Cherchbi and are available through Hardy Amies. Crosby, Bowie, Dietrich, Scorsese and de Niro would all approve, I feel amply qualified to say. 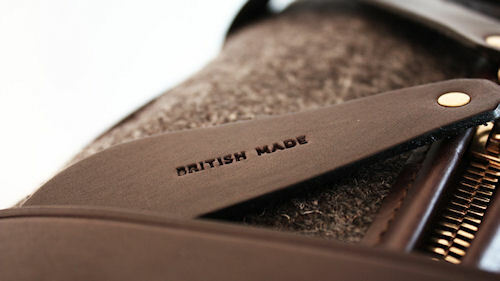 Oh and great blog - keep up the good work.